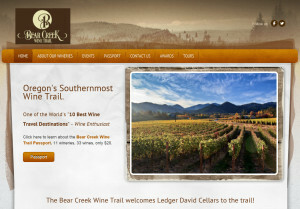 Ledger David Cellars is proud to be one of the newest members of the Bear Creek Wine Trail! In the hills along the back roads of the Bear Creek Valley, the southernmost portion of the Rogue Valley AVA, the Bear Creek Wine Trail is just minutes away from Ashland, Medford, and Jacksonville. With ease of access from attractions including Britt Festivals and the Oregon Shakespeare Festival, the Bear Creek Wine Trail is conveniently located to enhance your Southern Oregon experience. Ledger David joins 12 other wineries including Belle Fiore, Dancin, Pebblestone, Stone River, Aurora Vines, Paschal Winery, Trium Wines, Dana Campbell, Grizzly Peak, Weisingers, and Roxy Ann. These estate wineries provide an intimate and welcoming atmosphere where you will discover distinctive wines crafted from carefully tended vineyards. Look for information on Bear Creek Wine Trail’s annual Winery Passport, which will be available at the tasting room by April 15, and other upcoming wine trail events at www.bearcreekwineries.com. Join Vintner David Traul and the Ledger David team for an intimate winemaker dinner on Fri., Feb. 12 from 6-8pm at Le Petit Tasting Room in Central Point. Featured wines include a special barrel tasting of our 2014 Tempranillo port-style wine paired with a special menu created by Chef Bill Prahl from Déjà Vu Bistro & Wine Bar. Cost is $65 for wine club members, $70 for non-wine club members. Reservations Required. Limited Seating. 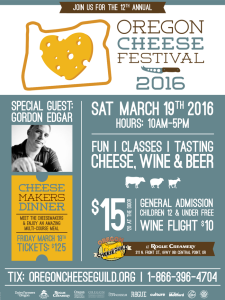 Email heather@ledgerdavid.com or call (541) 664-2218 for more info. As we ring in 2016 with new wines so festive and bright, we want to take a moment to pause and celebrate the past – vintages that mark where we’ve been and that have helped shape where we are headed (hint: we’re aiming for “up”). We are proud that all of our wines are made with single vineyard fruit from our estate in Talent, Oregon. Each bottle is handcrafted to reflect the highest quality in wine making. Blends still excite us and we aim to use our best fruit in these endeavors, which seems to be paying off. Several of our awards this year were earned for our Orion’s Nebula, Dark Night and Epitome of Three – all unique red blends in their own right. Our whites are catching up, too, indicative when our 2014 Sauvignon Blanc and 2013 Chenin Blanc both scored 90+ points and were named ‘Editor’s Choice’ by the Wine Enthusiast – one of the world’s leading resources for wine news – this past August. Here’s a snapshot of awards won in 2015…and, thanks for “indulging” us this time! Make plans to visit us in the New Year! Located in Central Point’s Artisan Corridor – a trifecta of the region’s most award-winning cheese, wine and chocolate – we’re now open daily from noon-5pm. Just 2 miles off I-5, left on exit 35. 1 pound Whole Wheat Penne Rigate Pasta/ I like Montebello from Italy. For the white béchamel sauce: Heat butter in a medium saucepan over medium until foamy. Sprinkle flour over and cook, whisking constantly, 1 minute. Gradually whisk in warm milk. Bring mixture to a boil, reduce heat, and simmer, whisking often, until béchamel is thickened to about the consistency of heavy cream 8–10 minutes (thorough cooking ensures a creamy sauce and eliminates any raw flour flavor). Remove from heat and add 2 cups Parmesan, whisking until cheese is melted and sauce is smooth. Set aside. In a small skillet cook bacon on low/medium heat until crispy. Set aside to cool and chop finely. Heat olive oil in a large saucepan over medium-high. Add onion, garlic, and red pepper flakes; season with salt and pepper. Cook, stirring often, until onions are translucent, golden and soft, 8–10 minutes. Add tomato paste and cook, stirring, until slightly darkened, about 2 minutes. Add crushed tomatoes and season with salt and pepper. Bring sauce to a simmer and cook, stirring often, until slightly reduced and flavors have melded, 20–25 minutes. Let cool slightly, then transfer to a large mixing bowl. Stir in basil and season with salt and pepper. Meanwhile, preheat oven to 350°. Cook pasta in a large pot of boiling salted water, stirring occasionally, until very al dente, about 5 minutes (the pasta will continue to cook in the oven); drain. 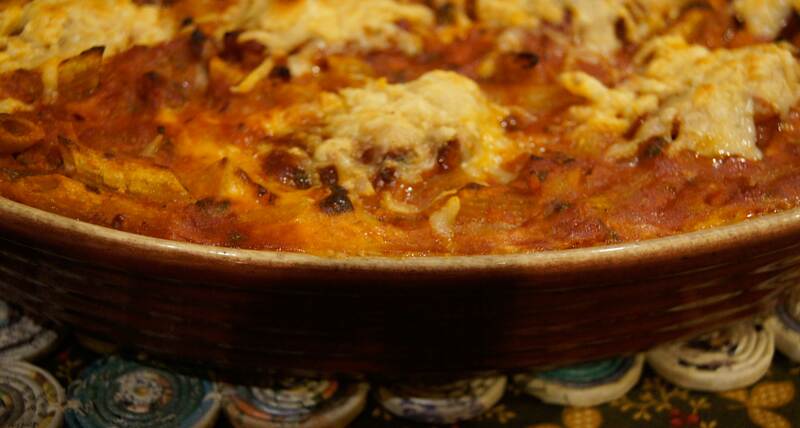 Transfer reserved béchamel to the large bowl; add pasta and mozzarella and toss to combine. Add all but 1 cup tomato sauce and gently fold mixture a few times. Transfer pasta mixture to a 13×9″ or other 3-quart baking dish, dollop with remaining tomato sauce, and scatter remaining Parmesan over pasta. Bake until mozzarella is melted and sauce is bubbling around the edges, 15–20 minutes. Heat broiler on low. Broil until pasta and cheese are dark brown in spots, about 4 minutes. Let pasta sit 5 minutes before serving. Join Vintner David Traul and the Ledger David team for an intimate winemaker dinner on Fri., Jan. 29 from 6-8pm at Le Petit Tasting Room in Central Point. Featured wines include a special barrel tasting of our 2014 Tempranillo port-style wine paired with a special menu created by Chef Bill Prahl from Déjà Vu Bistro & Wine Bar.